One of the showpieces of OCC Yachting. 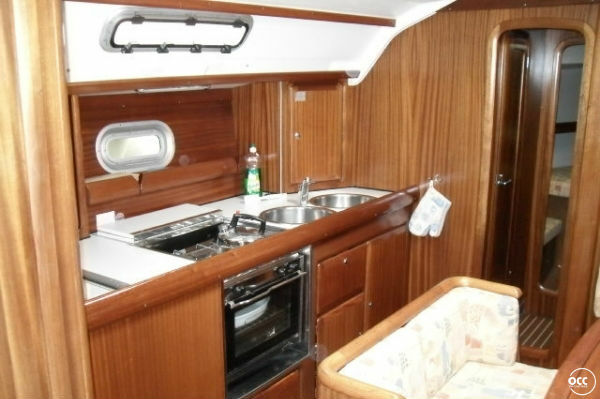 A very large Bavaria 41 for six people (three double cabins). 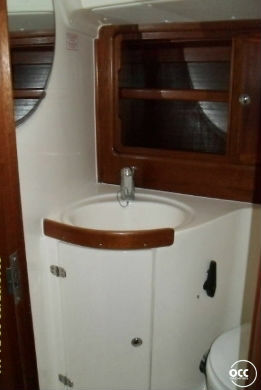 The "owners cabin" in the paragraph is a suite with private bathroom. 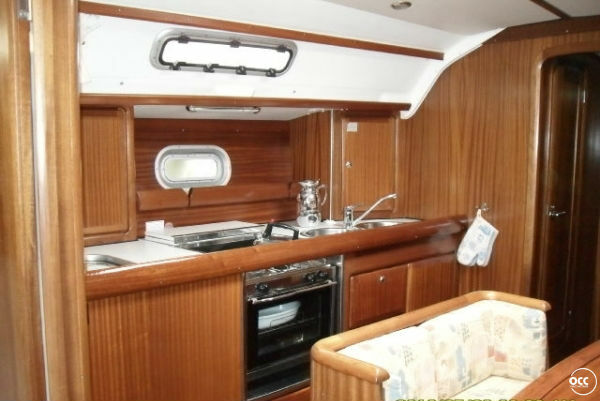 In the stern are two bedrooms and a bathroom. 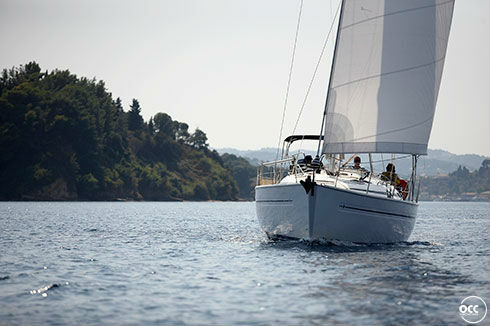 This yacht not only looks good, it also sails beautifully. 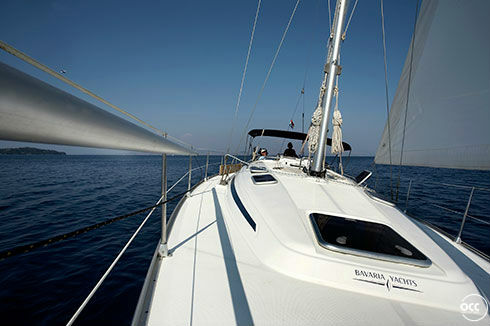 Despite the size of the sails, the ease of rigging best. You do not need to be the powerhouse two sails fast to roll out. After two minutes you will set sail and other boats, especially, see the mirror of your ship. 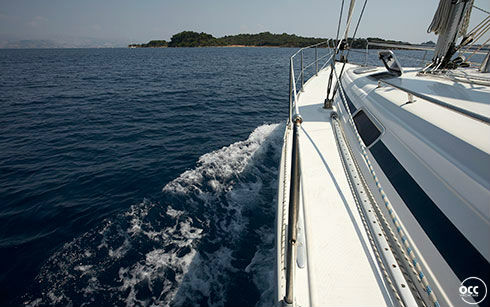 Not only is sailing aboard a pleasure. 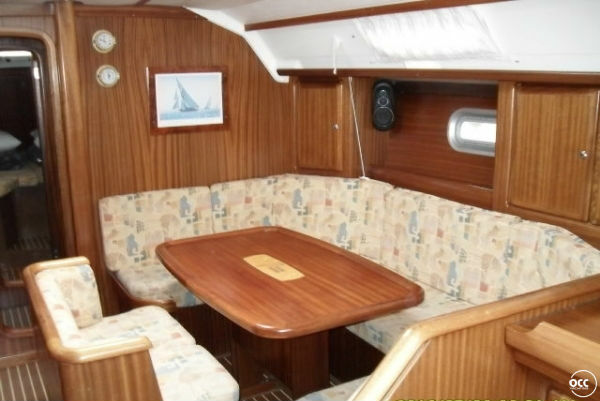 At anchor or in port, both the cabin and cockpit large enough for a few more friends to join in on the drink. 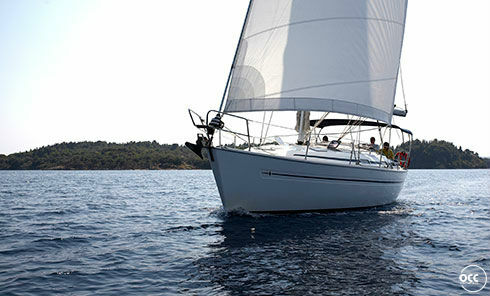 A graceful line, a great sailor and plenty of room for 8 people. 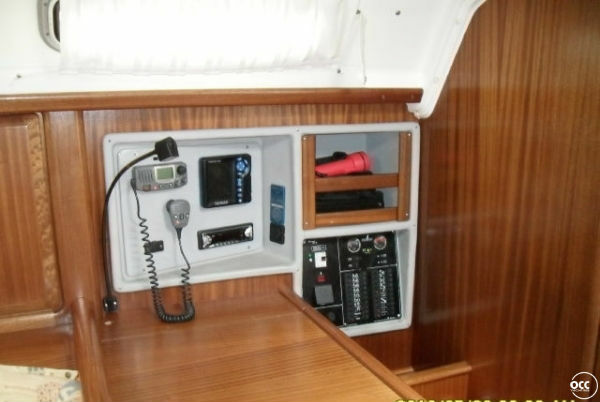 The 41 foot yacht has four double cabins, one with a bunk bed. 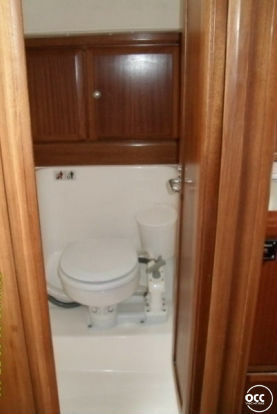 There are also two wet rooms and a spacious cabin. 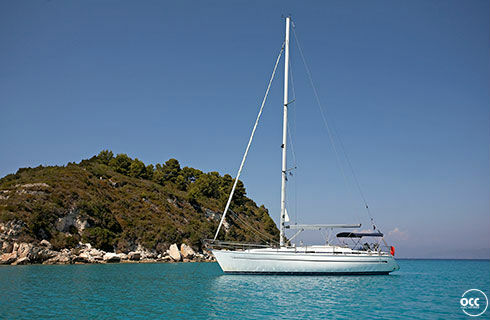 The Bavaria 41 / 8 is an e-ship line: excellent vessels for a very reasonable price. Despite the age of this ship is a good choice for larger groups who want less expensive ships. 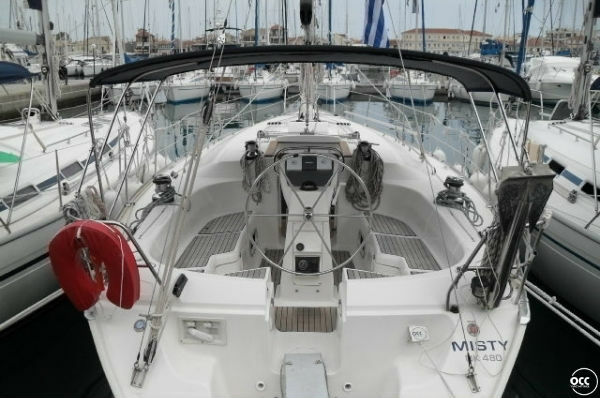 The only concession to this ship is the price: the comfort level, especially finish and maintenance of the level you're used to OCC Yachting.